Welcome to my Pencil Portrait of Zeke. Zeke was a very much loved and very much missed Labrador residing in Florida. The portrait is an 8″ x 7″ drawing on Italian Fabriano paper and its heading off to the USA later this week. It would have been Zeke’s 14th birthday on December 8th so my portrait will be arriving just in time for the family to have it framed and displayed for his birthday. Hurricane Matthew, that caused havoc in the Bahamas, Haiti and Cuba this October, also headed over towards Florida. While my client Manuela and her children were waiting out the storm, the children painted Zeke. Manuela emailed their artwork for me to see. They are all absolutely fabulous and I have enclosed them below. 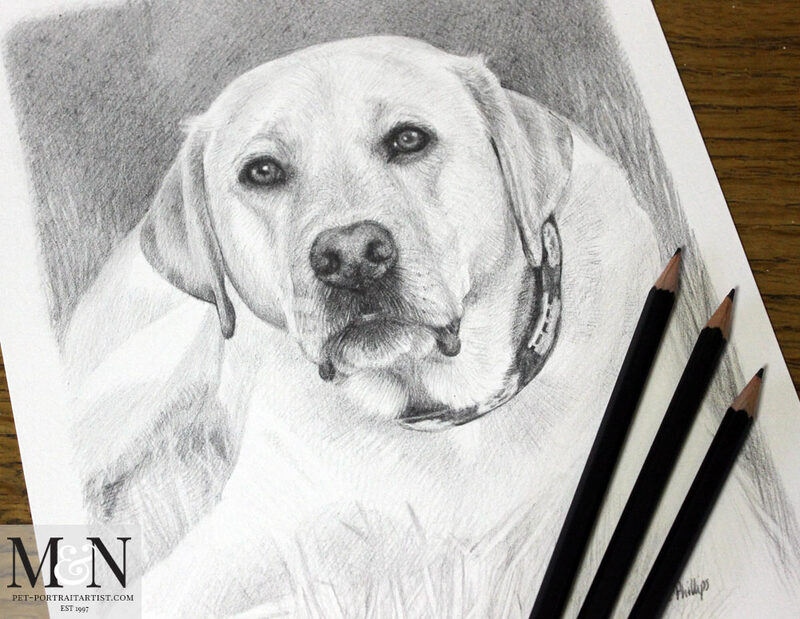 I think we have some very talented pet portrait artists in the making and I’d be more than happy to have them as helpers in my studio anytime!! Here is a photo of Zeke, on my plan chest with my pencils to show scale. 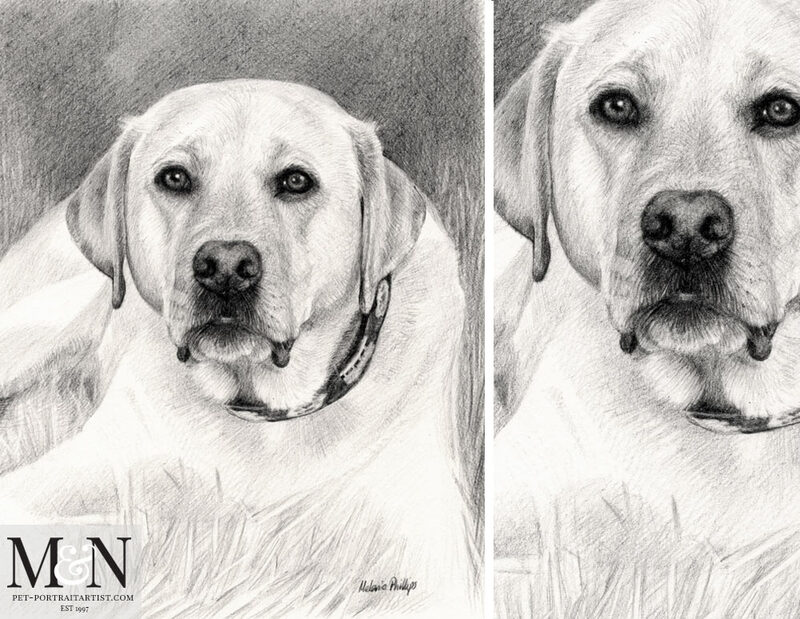 Zeke’s portrait had a fully shaded background to allow his light coloured fur to stand off from the background of the paper. This isn’t essential, but it worked really well in this instance. Below are the drawings Manuella’s children made of Zeke when they were hiding out from a storm. I think they have created some wonderful portrait! What do you think? !